The majority of posts on the site relate to information contained within the Widows and Dependents Pension Files. These files can contain dozens of different types of documents, ranging from military records to soldier’s letters. But the bulk of the social data is contained within the affidavits of family, friends, employers and others, which were submitted to prove certain aspects of the applicants claim, such as their dependency on a the soldier. In order to tell the story of a particular file in a coherent fashion, my normal process is to read all the documents contained within it, extracting the detail necessary to present the information in narrative form. I have never reproduced the complete text of one of these affidavits, but recently came across one given in Cork City, Ireland, which I believe stands on its own merit. It may interest readers to see how these affidavits can appear in their full form. We David Kelly labourer and David Crowley steward both residents of Cork City both residents of the County of the City of Cork, Ireland having been duly sworn depose and say that we well know Hanorah Mulcahy a resident of the aforesaid County, and that she is the widow of David Mulcahy deceased, late a resident of the aforesaid County, and mother of David Mulcahy who died of wounds received at the battle of Malvern Hill Va. on the first day of July 1862, while serving as a private in Co. “A” 9th Regt. Mass. Vols. That the husband of the said Hanorah Mulcahy died about fifteen years ago, leaving at the time of his death four sons and three daughters; the second oldest son and the oldest daughter being married at the time their fathers death took place. 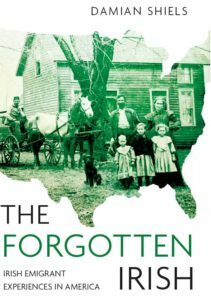 That shortly after his fathers death, the third oldest son emigrated to America, the oldest son and married daughter being residents of the Country at the time their fathers death took place. That the second daughter was also married shortly after her fathers death took place, leaving still residents of Ireland the second oldest son, and the second oldest daughter they being married, and the youngest son the aforesaid David and the youngest daughter, they being unmarried and keeping a home for their mother. That David Mulcahy the youngest son aforesaid and who afterwards emigrated to America and was killed at the aforesaid battle while serving as a private in the aforesaid regt. and company was about eighteen years of age at the tome his third brother left home to go to America; and was employed as a printer in the Printing Establishment of Messrs Guy Brothers in Patrick Street in the City of Cork his salary at that time being about twelve shillings a week which he always gave to his mother for to pay house rent, groceries, provisions or any other articles necessary for her support. 70 Patrick Street in Cork, the address of David’s employment in the city prior to his emigration, as it appears today. That his youngest sister who with himself was the only children who resided with their mother was a sickly person and on account of sickness was frequently compelled to leave off working and for that reason was of not help towards her mothers support; her earnings on an average being insufficient to support herself, and compelling her to be partly dependent on the said David for her support his mother, as she received no help from her other children, the oldest son being in America and was shortly after his fathers death married, and was unable to do any thing towards the support of the said Hanorah Mulcahy as he was a poor laboring man and had a family to support. That the oldest daughter was a resident of America also, and was unable to help her said mother as she was a poor widow with a young child to support; the third son doing nothing towards his mothers support as he enlisted in the U.S. service shortly after arriving there and his mother heard nothing from him for a number of years he being a man of unsteady habits. That the second oldest son and the second oldest daughter were married and still reside in Ireland unable to do any thing whatever towards the support of the said Hanorah, they being poor people and compelled to work very industriously to support themselves and their families. That the said Hanorah Mulcahy was wholly dependent upon her said son David Mulcahy who was late a private in the aforesaid Company and Regt. for her support; she receiving no aid from any of her other sons or daughters except the aforesaid youngest daughter who instead of being a help to the said David towards the support of her mother was herself partly dependent upon him on account of the aforesaid reasons. That about eight years ago the said David Mulcahy emigrated to America and went to work at the curring [currying, part of the leather industry] business at Reading, Mass; he being employed at the printing business at the time he left home to go to America he being then about eighteen years of age and receiving a salary of about twelve shillings a week which he always gave to his said mother for their support, appropriating none of said salary to his own use he being a young man of very steady and industrious habits and doing all in his power to keep his poor mother and feeble sister off the charity of the town. That on arriving in America aforesaid and going to work at the curring business he received a salary amounting to about five or six dollars a week. That after his departure from home his mother was in very destitute circumstances; her youngest daughter the aforesaid sickly person doing all in her power to keep her mother out of the poor house until she would receive some aid from her son David. That about five months after his arrival in the U.S. the said David sent his mother about three pounds; his mother at the time of receiving the same being about to give up her little home and enter the poor house. That the said money enabled the said Hanorah to support herself, and still keep her little house for herself and her sickly daughter until she received more aid from said son David who continued to send his mother all he could possibly spare from his earnings after paying his board, and clothing himself, in sums of two and three pounds about every four or five months until his enlistment in the aforesaid Regt. and Company in the year 1861. That up to the time of his enlistment in the aforesaid company and Regt. he had sent his mother about sixteen or eighteen pounds for her support; he receiving at the time of his enlistment a salary of about eight dollars a week, his salary having been increased gradually as he became more acquainted with the business at which he was employed. That the first time he received his pay after his enlistment he sent his mother three pounds and about six pounds after he received his pay the third time, which was the last money she received from him before his death which took place on the day and year above mentioned. That after his death the said Hanorah Mulcahy made application for the arrearages of pay due her; and at the same time the brothers and sister of the said David made application for the bounty money due on account of the services and death of the said David and received something over one hundred dollars in payment for said bounty and arrearages, the son and daughter in America appropriating no part of said bounty money to their own use but gave the whole amount of their shares to the said Hanorah for her support. That the youngest sister aforesaid died shortly after the news of her brothers death was received. That the said Hanorah Mulcahy now lives in a small room depending upon said bounty and arrearages for her support of which there is but a few pounds left, she being too old to earn enough to support herself and receiving no aid in any manner from the others of her aforesaid children and in possession of no real estate or any other property except a little clothing and a few housekeeping articles and the few pounds left of the said bounty and arrearages. That we have no interest in the said Hanorah’s claim for a pension. 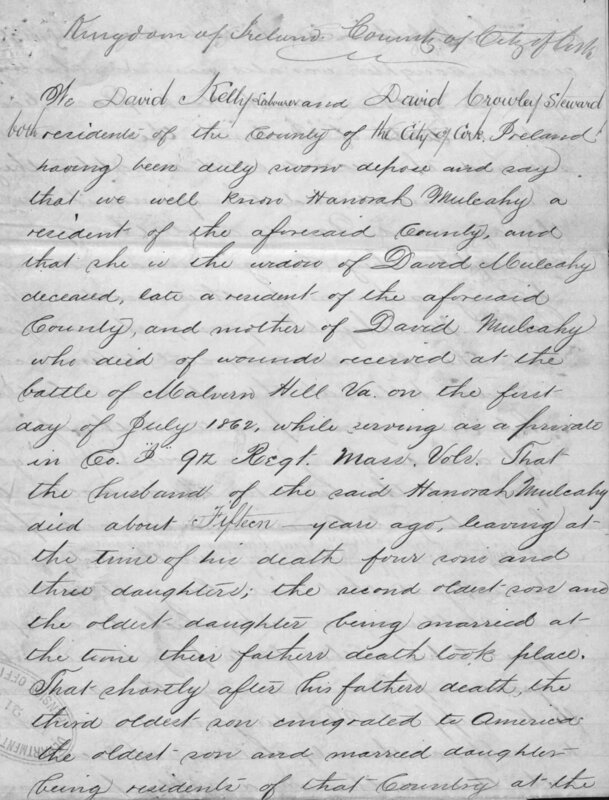 David Mulcahy Dependent Mother’s Pension File WC81876. David Mulcahy Civil War Service Record. 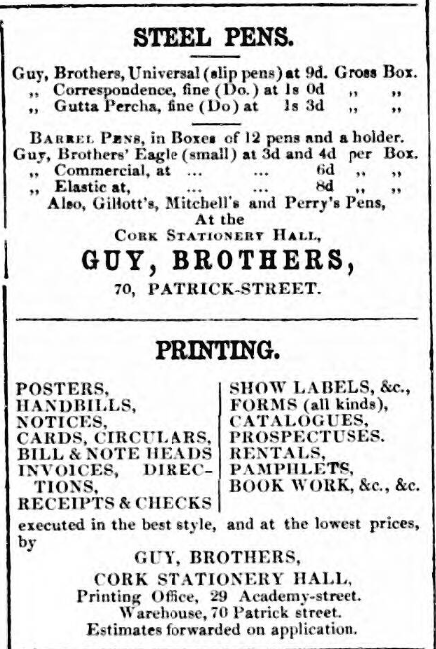 Cork Advertising Gazette 14th January 1857. Registers of Deaths of Volunteers, compiled 1861–1865. ARC ID: 656639. Records of the Adjutant General’s Office, 1780’s–1917. Record Group 94. National Archives at Washington, D.C. [Original scans accessed on ancestry.com]. MacNanmara, Daniel George. 1899. The History of the Ninth Regiment Massachusetts Volunteer Infantry. 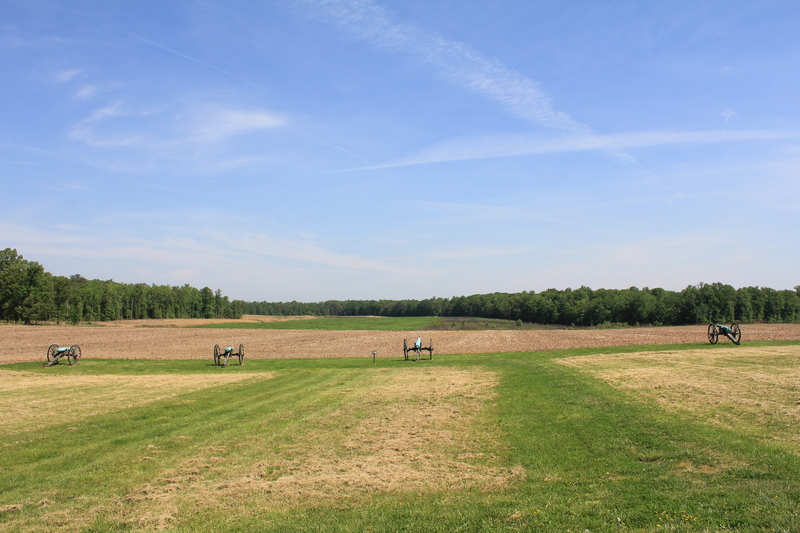 Civil War Trust Battle of Malvern Hill Page. Here are a couple more books on the Ninth, MacNamara, Daniel George. 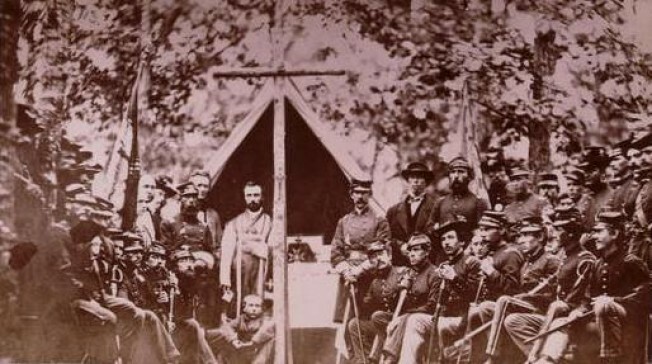 The history of the Ninth Regiment Massachusetts Volunteer Infantry, Second Brigade, First Division, Fifth Army Corps, Army of the Potomac, June 1861-June 1864. Boston, Massachusetts: E. B. Stillings and Co., 1899, xiii, 543p. This volume and the other by M. H. MacNamara chronicle the war experiences of this mainly Irish-Catholic Civil War unit, MacNamara himself being a veteran of the outfit. Very detailed history with an appendix giving short histories of the soldiers’ army records as well as their ages and occupations. Flynn, Frank J. “The Fighting Ninth” for fifty years and the semi-centennial celebration. (Boston? : The Author?, 1911), 109p, photos. Many thanks for this. I never came across the Frank Flynn one before it sounds fascinating, have you got a copy of that? Damian, I have a copy of Flynn’s “The Fighting Ninth for Fifty Years”. Is there something that you would like from it? Sorry I missed this- what type of information is in it? I am intrigued by the sound of it!